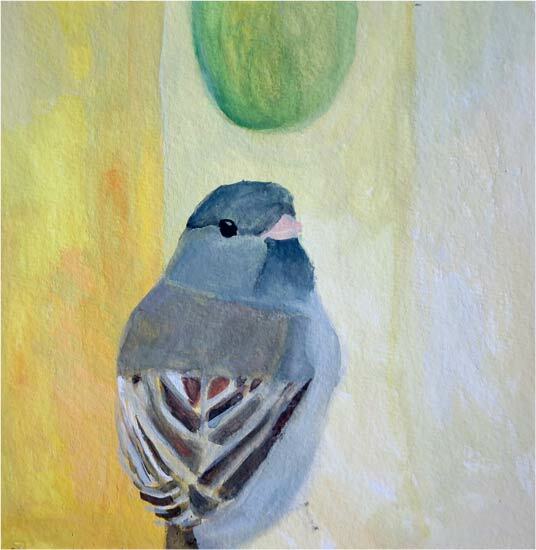 I painted the first bird of this challenge on April 4th, which seems like an eternity ago. I painted the 100th bird yesterday, August 9th. Yes, it took me more than 100 days to do my 100 birds, but I’m ok with that. I’m happy that I actually painted 100 birds! With anything that you come back to over and over again, there is just bound to be change and growth and it has been a journey with these 100 birds. 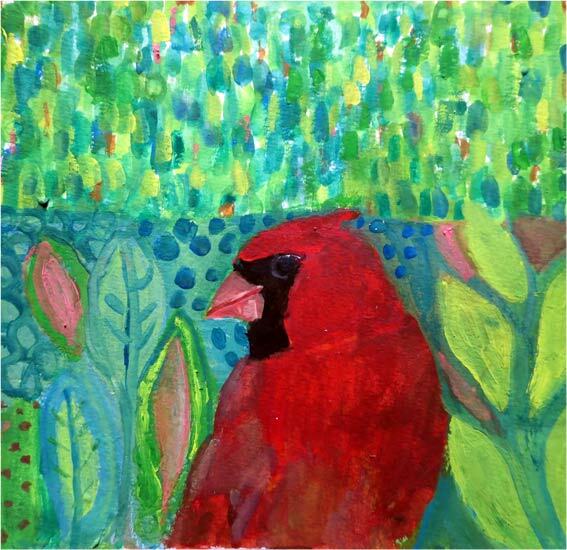 What I loved doing the most with my gouache bird paintings was the backgrounds. The birds strangely enough never took me very long…but the backgrounds did. Abstraction is challenging. I did a lot of meandering with my backgrounds. Which with gouache is an easy thing to do. It is such a forgiving medium. All the birds I painted, with the exception of the penguin, is a North American bird. It was a way for me to learn more about the birds in this vast continent that I find myself in. 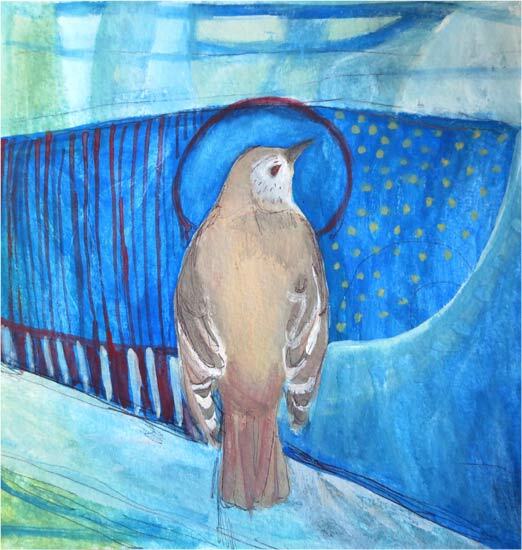 I often painted birds that crossed my path, but when I’d run out of ideas of birds to paint, I would look to poetry. 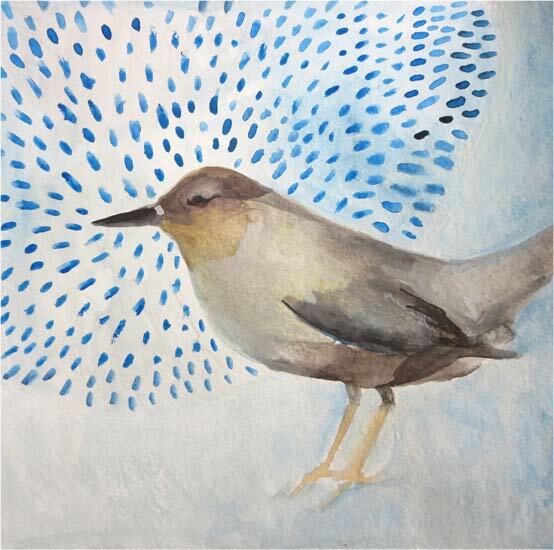 The Hermit Thrush above was inspired by The Darkling Thrush by Thomas Hardy. Summer time is a challenging time to get blocks of uninterrupted time in the studio and so this project was actually perfect for summer. Working in encaustic not only requires a whole studio set up, but also a big chunk of time. Being able to just pull out a little palette, my gouache tubes, 2-3 brushes, and water and a pad of watercolor paper made this so easy and do-able. I often did my birds at night after the kids went to bed. I have been dealing with some health issues this summer as well and my birds helped me to take everything day by day. When I would be in extreme discomfort due to an allergic reaction to a medication that was supposed to help but just made everything worse, I painted my birds. These little birds helped me focus, helped raise my spirits, helped me learn to trust the wandering. Healing birds. 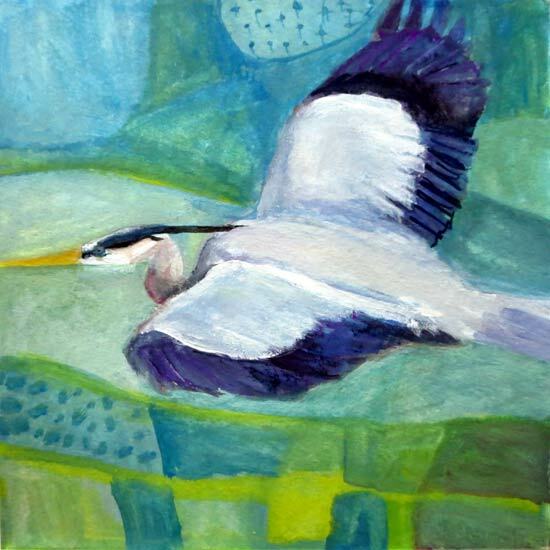 All the birds can be seen in the Paintings: 100 Birds section. 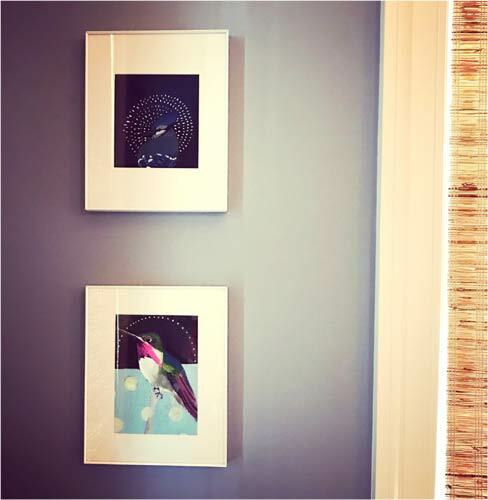 I framed and matted these two birds for a collector. Here they are in their new home. Makes me happy to know my birds are finding new homes.